Activate is a Christ-Centred, Spirit Led church in Wantirna South lead by Senior Pastors Ben & Sarah Fagerland. Activate is a passionate community of people coming together to worship God and love ..
Ashburton Uniting is a vibrant Christian community composed mainly of families and retired folk. New people continually arrive and so our church community is a work in progress. We would love ..
Bayside Church invite you to join a thriving and impacting church that believes in being relevant, passionate and making a difference locally in Melbourne's bayside suburbs and beyond. Bayside Chur .. The Bendigo Joss House Temple, a Chinese place of worship, was constructed in the 1860s. Originally part of the Ironbark Chinese Camp, it is now one of the few remaining original buildings of its .. The Brunswick Spiritual Lyceum was originally established in 1903 as a Childs Spiritualist Lyceum situated and located at the Mechanics Institute on corner of Glenlyon Street and Sydney Road Coburg. ..
Venerable Master Hsing Yun, founding president of Buddha's Light International Association has been challenged by a vision and propelled by a vow: to "Let the Buddha's Light shine over three thousan .. The Cathedral Synagogue of Melbourne in Toorak Road, South Yarra, is a splendid, ornate building. With a membership of some 1300 people in addition to extended families, the 1300-seat Synagogue run .. The Catholic Church of Melbourne is an Archdiocese. In the Archdiocese of Melbourne there are 232 Catholic parishes. View Parish Information Church	Suburb St Christopher's Parish	Airport West ..
Anglican Church of Australia - Diocese of Melbourne Christ Church is a progressive catholic Anglican parish which values Liturgy, Scripture, Reason and inclusive Community. South Yarra is an in .. Curious About Scientology? Find out for yourself 7 days a week Free IQ Tests and Tours 9am to 10pm weekdays, 9am to 6pm weekends We're always open and you are always welcome. ..
City on a Hill is a movement of men and women called to know Jesus and make Jesus known. We seek to live boldly in this generation, emanating gospel light with the words we speak, the decisions we mak .. Since 1843 this church has been a spiritual home for the people of Melbourne, a community of faith with its doors wide open. Whether you live or work in the city or you're visiting from some other pla ..
Crossway North is a evangelical Baptist Church in Craigieburn whose purpose is to serve the Craigieburn, Roxburgh Park and surrounding communities with a message of hope. We minister to families in .. Welcome! Doncaster City Church is a vibrant, Jesus focused Church in the heart of Doncaster, Victoria, Australia. We believe in the power of God working today and in faith that changes lives. W ..
E-Vam Institute Melbourne "The Kagyu E-Vam Buddhist Institute in Melbourne is indeed now one of the most progressive centers in Australia. Offering seminars on 'East-West psychology' and wider soci ..
Eckankar Religion of the Light and Sound of God Eckankar, Religion of the Light and Sound of God, is a nonprofit religious organisation and church with headquarters in Minneapolis, Minnesota USA. ..
Eckankar, Religion of the Light and Sound of God, is a nonprofit religious organisation and church. The ECK Worship Service is to help people find out what to do to improve their relationship with ..
German Lutheran Trinity Church is a community in prayer and conviviality. A piece of homeland in the heart Melbourne. .. The Great Stupa of Universal Compassion is the largest Buddhist monument in Australia and home of the largest Jade Buddha in the world. The Great Stupa of Universal Compassion is a not-for-profit o ..
GreaterLife is a Bible-based, Spirit-filled and Spirit-led church located in Hoppers Crossing. GreaterLife is pastored by Pastor Brandon and Desire Ross. We aspire to be a vibrant, growing chur ..
Habitat Uniting Church a centre for spirituality. 'Live by the Spirit, since the Spirit of God has made a home in you.' - Roman 8: 9 A Habitat is a home, an environment, a place of hospitalit .. The International Society for Krishna Consciousness (ISKCON) was founded in New York in 1966 by His Divine Grace A.C. Bhaktivedanta Swami Prabhupada (1896-1977), a pure devotee of Lord Krishna. Sr .. THE remarkable transformation of a vacant Maribyrnong River site into a Buddhist temple complex began with a 16-metre statue of the Heavenly Queen. Sydenham train line passengers have a perfect vie ..
Hills Bible Church is a BUV Baptist fellowship, meeting at Wantirna within Melbourne's suburbs corridor. Hills Bible Church is robustly evangelical in its theology; there is a strong teaching minis ..
An Orthodox Christian worshipping community in the CBD of Melbourne. The Universal Faith (Holy Orthodoxy) is to be presented and offered to each and every person. To those who are searching for th ..
We welcome all who gather in friendship to worship God, praying and learning together to deepen our faith in Jesus Christ and empowered by the Holy Spirit to care for each other and those in need in t ..
Holy Trinity is a dynamic Christian community with a valuable history that reflects the inclusive hospitality of God to all peoples and experiences. We are committed to make the love of Christ known, ..
Hope Community Church in Narre Warren, is a Christian faith community located in the fastest family growth corridor in Victoria. Hope is part of the worldwide Christian and Missionary Alliance www.cma .. In Hope Melbourne City Centre, we have ministries that work together to build God's kingdom. Our weekly worship at Hope is modern, enjoyable and very uplifting. We have an entire team of talented, .. The Islamic Museum of Australia is a not-for-profit foundation founded in May 2010 with the purpose of establishing the first Islamic Museum in Australia. It aims to showcase the rich artistic heritag ..
A friendly space to meet like-minded people, and companionship for your spiritual journey. Support for starting, maintaining and deepening your own meditation practice, based on Buddhist teachings ..
Kim Cang Temple is a small Vietnamese temple in the south eastern suburbs of Melbourne within easy reach of the M1 Freeway. ..
As of 19th September 2010, the day of the beatification of Bl. John Henry Newman by His Holiness, Pope Benedict XVI, 'Latin Mass Melbourne' was placed under the patronage of the new Beatus by His Grac .. The Leo Baeck Centre is a synagogue and inclusive Jewish Community Centre with regular Shabbat and Festival services, Torah studies and communal dinners. Monday - Friday, 9 am - 2 pm .. When you come to our church, the first thing that you will notice is how welcome we make you feel. We love visitors and go out of our way to make you feel comfortable in our space.. because we know it ..
Life Ministry Church - Living and Ministering Christ A safe place for all generations to come and know the love of Jesus SUNDAY MORNINGS Our Sunday Services are a time of genuine praise and tha ..
We are a small group of people seeking to live life to the full and working at growing in our relationship with Jesus and connecting with our world and one another. Calling ourselves LivingRoom re ..
Maitripa Centre hosts courses, retreats and conferences on interfaith, meditation, yoga, martial arts, philosophy, the arts and helping professions. Surrounded by hundreds of acres of State and Na .. The Alpha Course is not a Church service, but a chance to come along to a local Church and find answers to the questions of life. The course runs once a week over ten weeks including a weekend. It .. Welcome to the East Melbourne Hebrew Congregation - the Jewish Heart of the City. Known as the City of Melbourne Synagogue, it is the only Shule in the inner city area, within walking distance from ..
A purposefully enthusiastic and diverse people from Melbourne's West who desire to see people transformed by Heaven's culture, progressing beyond their circumstances to outreach and impact their commu .. The Mevlevi Order of Australia was formed in Melbourne in 1986 by Sheikh Abdul Aziz, a pupil of the late Naqshbandi Sufi Master, Hadrat Grandsheikh Abdullah Sirr Dan al Jamal. Mevlevi Australia 's .. This site is dedicated to all the missionaries who served in the Australia Melbourne Mission of The Church of Jesus Christ of Latter-day Saints. Missionaries who served prior to the formation of t ..
North Balwyn Uniting Church is a friendly church within the Presbytery of Yarra Yarra in Balwyn North, in the Eastern Suburbs of Melbourne, Victoria, Australia. To download the NBUC brochure, click h ..
Chalice's High Street church buildings were founded in 1854 on the lands of the Wurundjeri people, close to traditional meeting grounds on the crest of Ruckers Hill. In keeping with the Wurundjeri spi ..
At Northside, we welcome new people with open arms. Whatever your background, we are interested in your future and want to help you be all that God has destined you to be. Northside is a large, str ..
Quang Minh Temple is a centre for the Vietnamese Buddhist community in Victoria. Quang Minh Temple (Ch�a Quang Minh) is the first Vietnamese Buddhist Temple in Melbourne, Australia Ch�a = Temple ..
Resurrection Life Christian Ministry is a Christian ministry sharing the good news of the gospel and proclaiming "Jesus Is Lord"! The purpose of the Resurrection Life Christian Ministry website is ..
Preaching the Truth with Proof to the Church, the individual, the nation, and the world. We are ordinary people. In the revival centres you will find a cross-section of the community. We lead n ..
Revolution! City Church is a new church in Richmond that loves Jesus and has a huge vision to impact lives, Melbourne and the nations with fresh and creative expression! We are passionate about ra ..
Richmond Uniting Church is a Jesus community that seeks to provide safe space to explore questions of spirituality, ongoing opportunities for all to go deeper in their journey with the divine, support ..
Roxburgh Park Community Church is located on the northern fringes of suburban Melbourne, Australia - one of the world's most liveable cities. We are a vibrant multi-cultural church with more than .. The Chinese temple in South Melbourne (then called Emerald Hill) was built in 1856 by the See Yup Society. In 1866 it was rebuilt and enlarged. 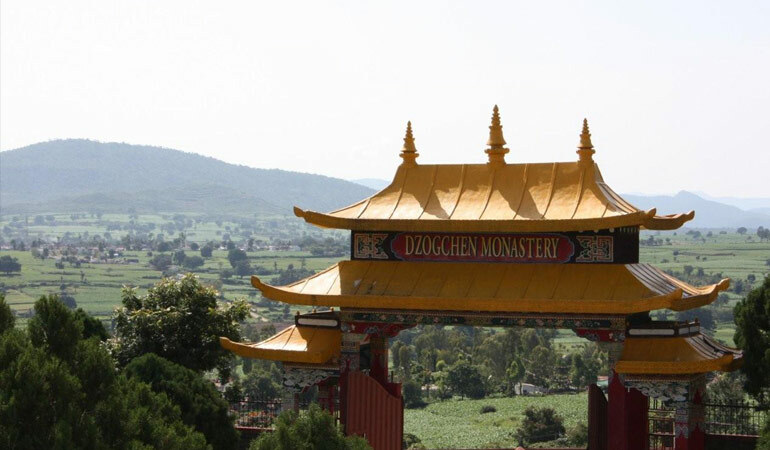 The temple cost over four thousand pounds to constru ..
Shenpen is a world-wide network of volunteer organisations that support the work of Dzogchen Shri Senha Charitable Society (DSSCS), an Indian registered charity. DSSCS specialises in healthcare, e .. The Hindu Society of Victoria (HSV) was founded in 1982 and has a current membership of around 2,000 members. The HSV's spiritual and cultural precinct was established in 15 acres of land at Carrum Do ..
St. Columbs has been part of the Hawthorn community for over 131 years. We are a Christian church and part of the Anglican Church of Australia seeking to provide a safe place in which people may explo .. Friendly Place of Worship for Canterbury and wider Melbourne; Sprituality for Mainstream; Intercultural; Intergenerational; Beautiful Melbourne Weddings; Beautiful Canterbury Weddings ..
St Francis' Church is the oldest Catholic Church in Victoria and the oldest church on its original site in Melbourne. For over 160 years, St Francis' has been an important place of prayer and worsh ..
An Anglo-Catholic parish, since its foundation in 1914, St James the Great is known for its observant liturgical tradition in a building described by one bishop as a hidden gem. The Sunday Solemn M ..
St James' Old Cathedral is an Anglican church seeking to love, enjoy, and worship the Triune God we meet through Jesus Christ. We gather within the simple beauty of Melbourne's oldest building to be r ..
St John's Anglican Church 5-7 Finch Street, Malvern East Saint John's extends a warm welcome to people of all faiths and none. Long a place of warm care and quiet peaceful beauty, Saint John's ..
St Mary's is one of the largest and most beautiful Catholic churches in Australia. The website of St Mary Star of the Sea has opened a new door to this church, whose century old doors have welcomed ..
St Mary's Anglican Church, North Melbourne is an inner-city Christian community that strives to be faithful, inclusive, and sacramental. The church building is situated in the historic heart of Nor .. The Anglican Parish of Mount Dandenong invites you to seek follow and worship Jesus. 'Light in the Hills' St Matthew's Anglican church was built in 1903 and is one of the earliest remaining timb .. The Anglican Parish of Mount Dandenong invites you to seek, follow and worship Jesus. 'Light in the Hills' St Michael's Anglican church was built in 1940. The foundation stone was laid on 26th ..
St Michael's is a unique Christian presence in the city of Melbourne. It offers a wide variety of experiences for growth and change. It is a place which affirms and encourages the best expression ..
St Patrick's Cathedral. Mother Church of the Catholic Archdiocese of Melbourne and one of the architectural glories of Melbourne. The William Wardell designed St Patrick's Cathedral was consecrated ..
At St Paul's we seek to be a community of people who are welcoming and caring, connected to God and to each other. We believe that the Christian faith has profound things to offer people who are se ..
St Paul's Cathedral is the seat of the Anglican Primate of Australia and home church for Anglicans in Melbourne and Victoria. St Paul's Anglican Cathedral is a beautiful and historic place of wors .. The Anglican Parish of Box Hill is a parish in the Diocese of Melbourne, Australia. We are in the eastern region of the Diocese in one of Australia's largest multicultural residential areas. Our P ..